Unified Modelling Language (UML) is a modelling languages. It is typically used in the design phase of object oriented software development process, to express the thought in graphical representation, to visualize the system and so on. UML, created by OMG (Object Management Group), has now become the standard approach to software modelling. In fact, the UML diagrams makes coding part easier in complex systems, so the time you would spent in drawing will save you a lot of time (later, during development/implementation phase). UML diagrams represents – Static as well as Dynamic views of a system, by using UML tools you can draw – class diagrams, activity diagrams, sequence diagrams, use case diagrams etc. There are various tools available such as IBM Rational Rose, for drawing UML diagrams but in this post you are going to know about some open source modelling tools, that you can use on your Linux based Operating systems e.g Ubuntu 11.04 (Natty Narwhal) /11.10 (Oneiric Ocelot, the code name of upcoming version)/ or older versions such as 10.10/10.04 LTS…, Linux Mint, Fedora, OpenSuse etc. Here are some of the most popular free and open source UML Modelling softwares that you can use with Ubuntu or other Linux distro, some of them are cross-platform i.e also available for Windows and Mac OS. Try some of them and choose the one which suits you best. 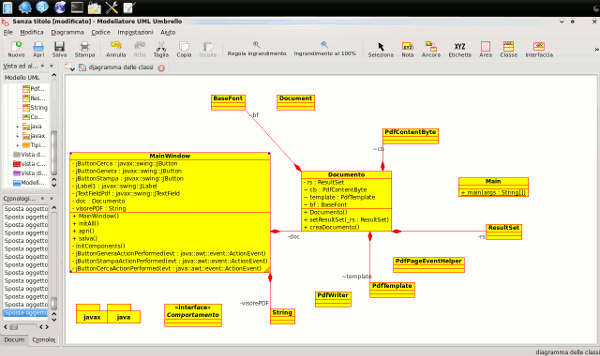 Umbrello is a KDE based software for creating UML diagrams in standard format. It supports a lot of languages and code generation (advanced code generation is available for ruby) is also supported, it has all basic features – that you expect from a UML tool. Gaphor is a cross-platform UML tool with simplicity, before installing it be sure to check for its dependencies such as Python (version 2.5 or later). 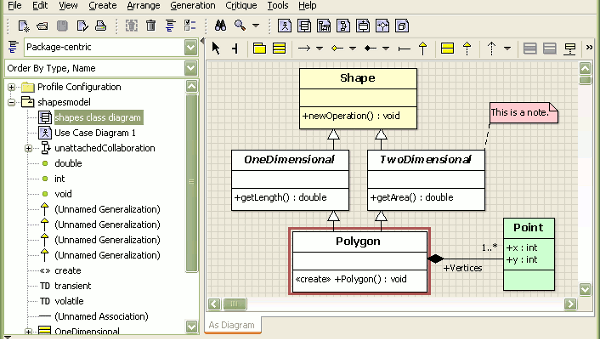 ArgoUML is one of the best open source – ‘software modelling tool’ with a lot of advanced features. It is a java based (and of course cross-platform) application. 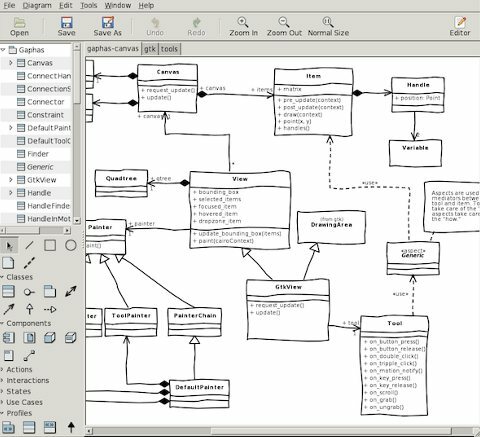 Dia is a GTK based drawing program that can be used for drawing UML diagrams, Flowcharts, Network diagrams etc. If you’re not happy with any of the desktop applications, then you can try this online UML Tool http://www.genmymodel.com/. It’s easy to use, it’s fast and it offers lots of cool features such as code generation, collaboration over github and more! Using Umbrello for quite some time now and love it.